Hearing loss is the inability to hear certain frequencies/pitches completely or partially in one or both ears. There are different types and causes of hearing loss. Depending on the severity and which frequencies are affected, hearing loss can make hearing and understanding speech very difficult. Hearing loss can also interfere with day-to-day communication and cause patients to struggle with daily activities (at work, with family, watching TV, talking on the phone, going out to eat, etc). Untreated hearing loss can even contribute to dementia, depression and accelerated cognitive decline. While hearing aids can improve hearing and speech comprehension for patients with many types of hearing loss, they have also been shown to improve the user’s social, psychological and physical sense of well-being. The selection and fitting of hearing aids is a very individualized process based upon your unique hearing loss, lifestyle, physical capabilities and budget. You will work directly with a licensed Audiologist (Doctor of Audiology), not a hearing aid technician as with other hearing aid vendors. 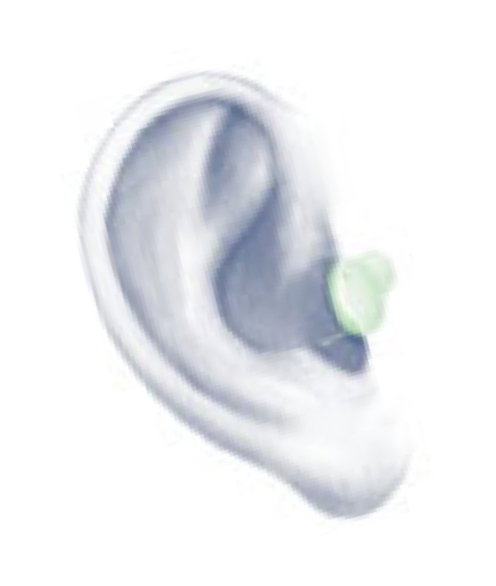 We also offer FREE hearing aid consultations, demonstrations, a 30 day trial period and live speech mapping to visually graph your hearing improvement. 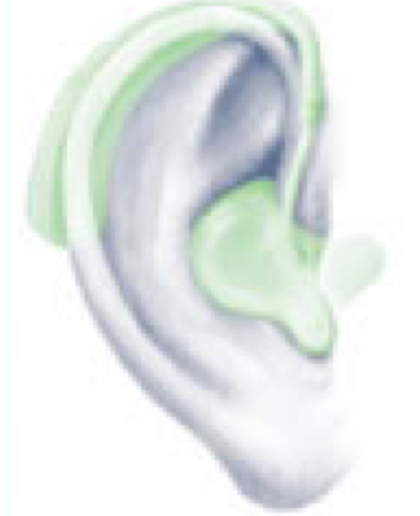 BTE hearing aids are worn behind/on top of the ear and are connected to tubing and an earpiece that fits into the ear. These hearing aids come in a variety of shapes and sizes and can be programmed to fit a wide range of hearing losses. BTE hearing aids can feature directional microphones, multiple program options, and volume control. m-BTE hearing aids are the smallest BTE hearing aids available and are often less conspicuous than the hearing aids that fit in the ear. The hearing aid is still worn behind/on top of the ear and connected to a thin wired tube and earpiece. These hearing aids come in a variety of shapes and sizes and can be programmed to fit a wide range of hearing losses. m-BTE hearing aids can feature directional microphones, multiple program options, and volume control. ITE hearing aids are customized to be worn in the ear. They range in size from just at the entrance of the canal to filling up most of the “ear bowl.”. These hearing aids can also fit a wide range of hearing losses. ITE hearing aids can feature, if available, directional microphones, multiple program options, and volume control. CIC hearing aids are worn completely in the canal. 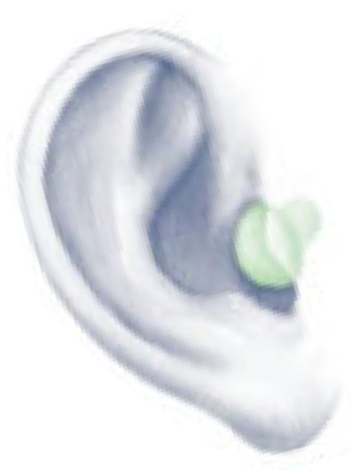 Usually, only a minimal portion of the hearing aid is visible. These hearing aids are very small; therefore, have limited battery life, fit a smaller range of hearing losses and do not have directional microphones. 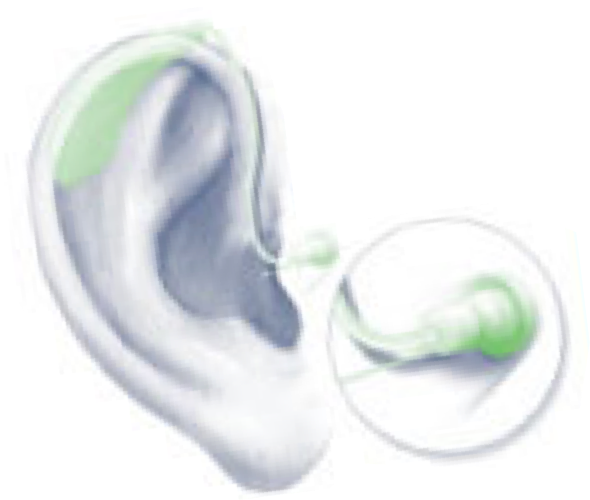 Some CIC hearing aids, depending upon ear canal size, can have multiple program options and additional features. WE WORK WITH SEVERAL MAJOR HEARING AID MANUFACTURERS. PLEASE CLICK ON THE LINKS BELOW FOR PRODUCT LINE DETAILS AND INFORMATION. patient and physician, and include no interest and extended period payment plans.  Click on either logo to learn more or ask our staff which plan might be more appropriate for your needs.